The Finest Resorts Nova Scotia has to offer close to some of the world’s best golf, hiking and sailing, and of course the world famous Cabot Trail. 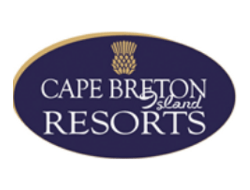 Cape Breton Resorts offers four distinct waterside hotel and cottage properties in the heart of all there is to see and do on Cape Breton Island, Nova Scotia. From traditional style hotel rooms to peaceful seaside cottages Cape Breton Resorts has everything to make your stay just right. Their onsite activities, resort pubs, spas and entertainment will ensure that you take home fabulous memories of your Cape Breton vacation.